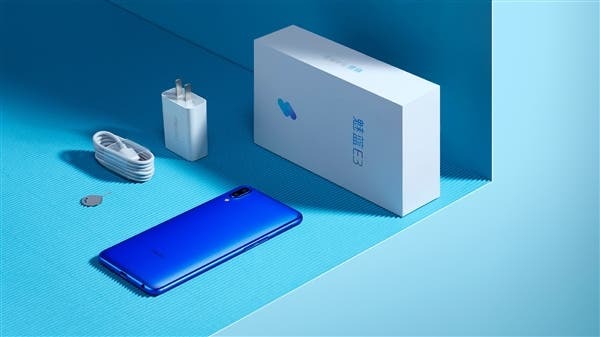 On March 21, Meizu announced the next phone from its much-popular Charm Blue line, the E3. But there was another model named the Meizu E3 J-20 Edition. 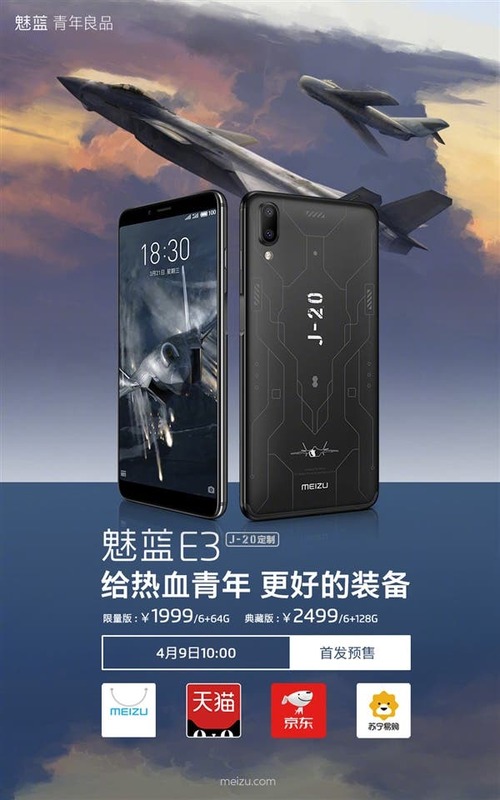 The latter differs from the regular model by a sophisticated zinc alloy chassis and a back body made to look like J-20 fighter jet. Today, the manufacturer announced this phone will become available for purchase tomorrow at a price tag of 1999 yuan ($317). This price has been set for the 6+64GB variant, while the collector’s edition with a 6+128GB memory combination is priced at 2499 yuan ($397). The Meizu E3 J-20 Edition uses a new back cover process. The micron groove brings a unique feel experience. Moreover, the entire back panel uses a customized laser engraving process to provide an abstract minimalist design. In terms of configuration, the phone sports a 5.99-inch display with a resolution of 2160 × 1080 pixels and an aspect ratio of 18:9, Qualcomm Snapdragon 636 chip, 3360mAh battery supporting 20W fast charging technology, and many more. It is also very attractive when it comes to the photography. The Meizu E3 J-20 Edition is packed with a 12+20MP dual-camera. The main sensor carries a model number of Sony IMX362 that comes with a 1.4-micron unit pixel area and supports full-pixel dual-core focus. As for the second lens, it’s a Sony IMX 350 sensor with a 20MP resolution. On the front, it features an 8MP camera. As we see, the Meizu E3 has been made to compete with the Xiaomi Redmi Note 5. It’s been non-officially promoted as the Redmi Note 5 killer. But Xiaomi phones have been known for their low price tags. The phone we are talking about is no exception. The higher variant with a 6+64GB is priced at 1699 yuan ($268). Plus, another Redmi Note 5 rival was launched in face of the Lenovo S5, the higher variant of which (4+64GB) costs 1499 yuan ($236). So for the Meizu E3 J-20 Edition, it will be not easy to grab customers’ attention.